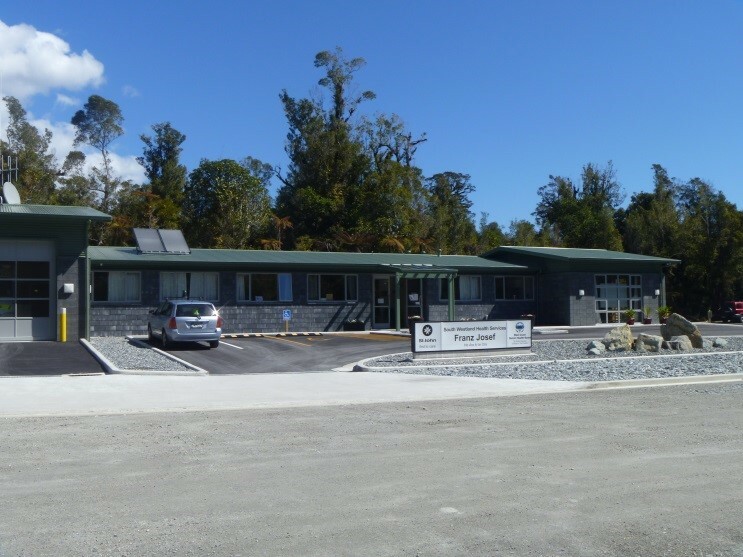 RCP worked closely with the West Coast District Health Board and St Johns to build a new medical clinic and St John Ambulance Station at Franz Josef. RCP’s programming and programme management skills provided for efficiency in delivery and logistics management. Our on-site construction management was essential for overcoming the environmental challenges affecting the development. The building consists of a triage room, several assessment/treatment rooms, a re-suss emergency department, meeting rooms, ambulance garaging, accommodation wing and three kitchens. In addition to the building, RCP also managed the selection and installation of key services and plant, including a large generator, HV switching gear, gas bottle storage and a helipad located adjacent to the facility.